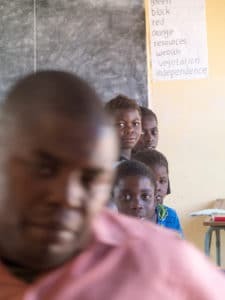 On a recent vacation in Zambia I had the opportunity to visit two schools in rural villages, one elementary school and one middle school. 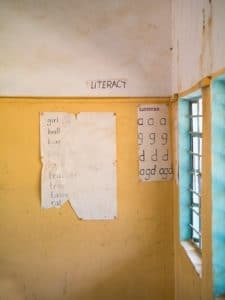 As an investor in Hippocampus Learning Centres (HLC) in South India and a long-time student of rural education interventions, I was excited to explore whether it might be possible to establish for-profit low-cost services like what HLC offers to augment the low-quality public education system in Zambia. I was saddened to learn that in the category of villages I visited, such interventions would not work, at least not anytime soon. For background, Hippocampus offers full day preschool as well as after-school programs for grades 1-4. Their goal is to get 100% of kids to be reading at grade level (when the average is only 25%). Teachers come from the villages where they operate, creating local jobs. Tuition is under $5/month/child – a price that’s within reach of the “bottom of economic pyramid” families living on under $10/day income. My going-in assumption was that a model that’s so cost effective could work as well in Africa as it does in India. We spent about an hour chatting with one of the head teachers in Jifumpa, a village on the edge of the Kafue National Park in NW Zambia. 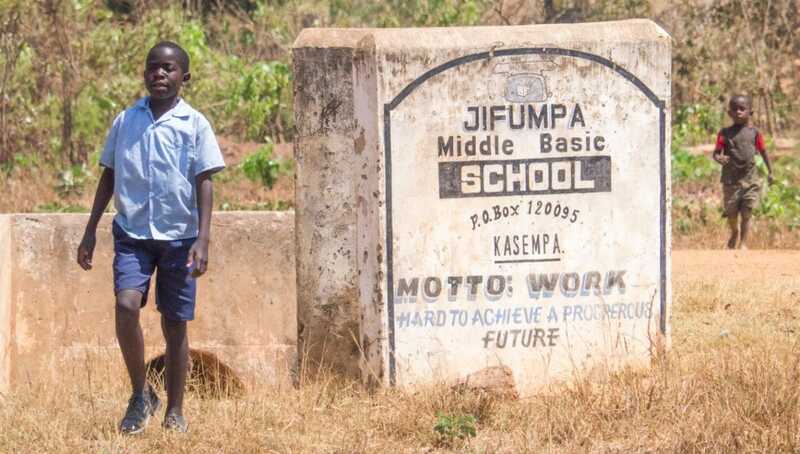 Jifumpa has under 1,000 people in the immediate area, but is the largest village serving some 4,000 people within a modest radius. The primary/basic school has 5 teachers, with each class having 60-80 kids. 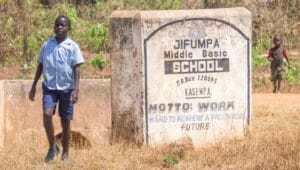 As soon as we learned about the size of the school and village, and knowing HLC’s economics, I knew a village like Jifumpa was too small to support a for-profit learning center. HLC operates in villages with an average population of 3,000. But what I didn’t know was that the fundamental blocking issue was not income or village size, it’s the villagers’ attitude to spending money to support their kids education or even to improve their medical care. In our discussions with the teachers, we asked all the basics: are the kids motivated, do they come to school, are parents supportive, etc. Answers were generally positive, other than attendance which is a problem. I was surprised to hear that the teachers all get paid regularly and on-time (and pretty well – $500/mo) which is something that does not happen in India. 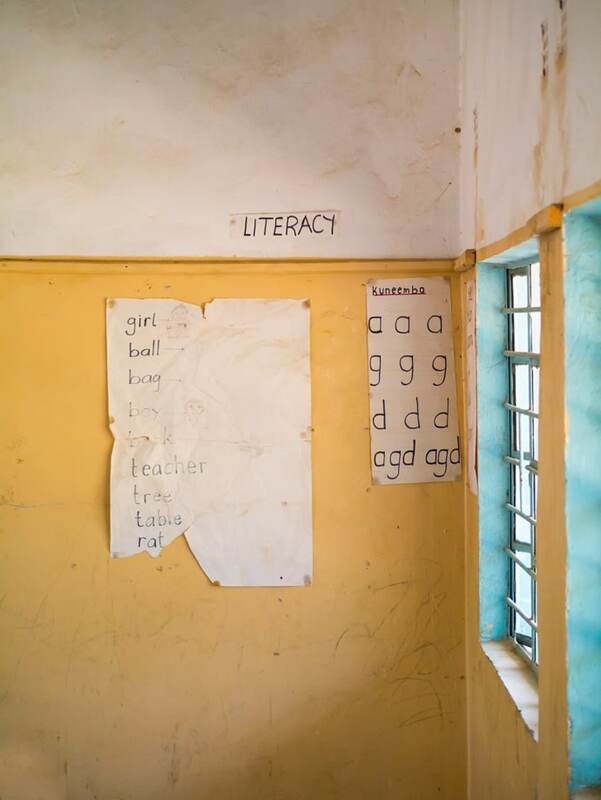 We learned that this particular school has a big issue: the government has not supplied books that were due to be delivered over 6 months ago. The teachers are teaching with virtually no support materials, making it more than challenging. They don’t have electricity or running water in the school, but they have a bore well across the street where the kids can refill water jugs for the school. As our interviews of each of the head teachers and also the head nurse at the local clinic came to a close, I asked one carefully crafted question: “What is your highest priority problem, which if fixed would help you deliver better education [or healthcare] to the villagers?” I was expecting to hear about books or teacher pay from the teachers, and was expecting to hear about needing electricity or running water from the nurse. Instead I heard exactly the same word from all three people: “accommodations.” I asked why that was such a big issue? In the schools, they each told us that the government would send more teachers if they had more teacher houses. But that the teachers would not come to live in a village if they didn’t have an adequate house, built to government standards. In the clinic, the nurse told us that his co-worker nurse lived 40 km away and therefore had a commute that ate up a bunch of every day. With an extra home, he would live in the village and would be able to help with after-hours baby delivery, emergencies, etc. Taking all this in, I asked our host Paul over dinner that night why accommodations were such a big issue. We had visited two teacher homes. They were very simple structures, with one main room and one sleeping room, maybe 200 square feet in total. They were made of local bricks and had simple metal roofs. No water, no plumbing, no electricity (other than individually purchased solar panels and batteries). They clearly were not expensive structures; they were in fact made of bricks that the villagers could make their selves from local materials. Why didn’t the villagers just build a house to get an extra teacher, or build an house for the nurse to get better medical care after hours? Paul’s answer was simple, drawn from personal experience of supplying one of the teacher’s homes a few years ago. Paul explained that the villagers believe that supplying such homes is the government’s job, period. A house would be on government land and be owned by the government, so the villagers just were not interested in helping to build it. Paul had originally made a deal with the village chief that Paul would purchase the roofing material and doors and windows and get the construction done for a teacher house if the villagers would supply the bricks. The chief agreed, and then later reneged – asking to be paid to supply the bricks. No house was going to be built until Paul agreed to buy the bricks and make it all happen without any support of the villagers. If these attitudes are pervasive in Africa and don’t start evolving quickly, the continent will not reap the benefit of its young and growing population. Africa needs role models and leaders who show the growing population that education is the path out of poverty. More on that in my next post.